The fact that Super Smash Bros. Ultimate will be Nintendo’s biggest release this year is definitely no secret. This series constantly sees endless amounts of hype, it’s hard to not feel excited after getting our hands on the game at San Diego Comic-Con. As they did last year with Super Mario Odyssey, Super Smash Bros. Ultimate was Nintendo’s total focus at their SDCC booth. Lines to play the game were long, but they moved quickly as attendees were treated to playing two three-minute matches with any character they wanted. First, I gave the Ice Climbers a look. Absent from Smash 4, the Ice Climbers are a welcome addition. As it was in the past, you gotta keep Nana and Popo together. If the character you don’t have direct control of is eliminated, while a loss isn’t guaranteed, the Ice Climbers have a lot against them if only one can fight. As far as gameplay goes, it was mostly smooth. As I’m used to Smash 4, using the Pro Controller took some adjustments, primarily due to the fact of the button layout if you’re used to the PS4 and Xbox One pads. Dodging attacks wasn’t as easy as the game punishes you if you spam the roll move, and the game also felt substantially faster than Smash 4 yet slower than Melee. The second character I used was Ridley, who got announced as a newcomer at E3. 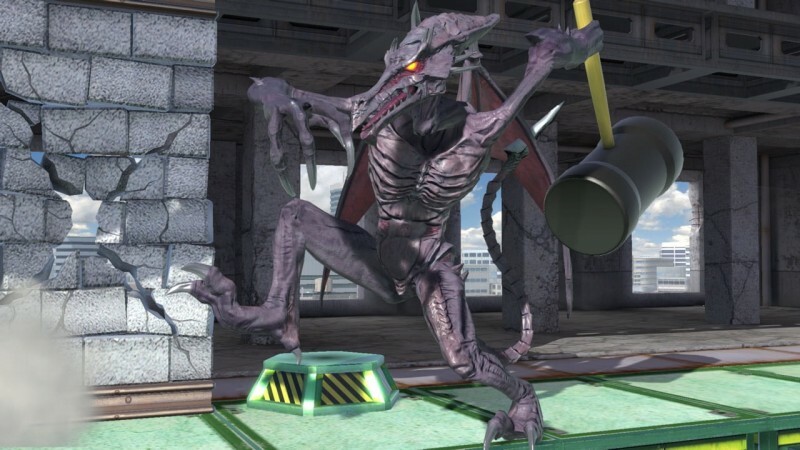 Ridley has plenty of strong attacks, and he plays kind of like a cross between Charizard, Mewtwo, and Samus. Ridley has a pretty effective energy ball that’s charged the same way Samus’ charge shot is, but it seems to hit in a similar way to Mewtwo’s upon impact, with speed and overall movements comparable to that of Charizard. 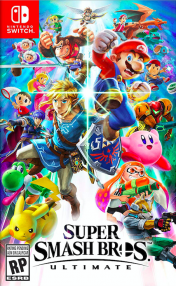 I didn’t win either game, especially with my confusion with the game’s controls, but it’s definitely looking the same fun and competitive game Nintendo has made its fans used to.